From Spotify to Pandora, Amazon Music, Tidal, or any number of other services, there’s no shortage of ways to pipe all the music you could want into your home. Now you have another option, one that doesn’t rely on a smartphone or tablet app. 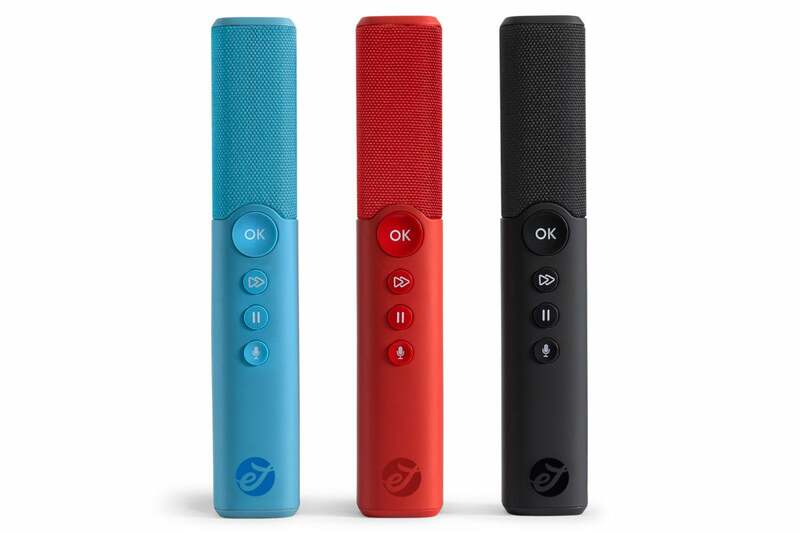 Electric Jukebox’s Roxi is a standalone music device that you plug directly into your home theater system or TV. Once installed, the device gives you access to everything from straight-up audio streaming to a singalong mode. 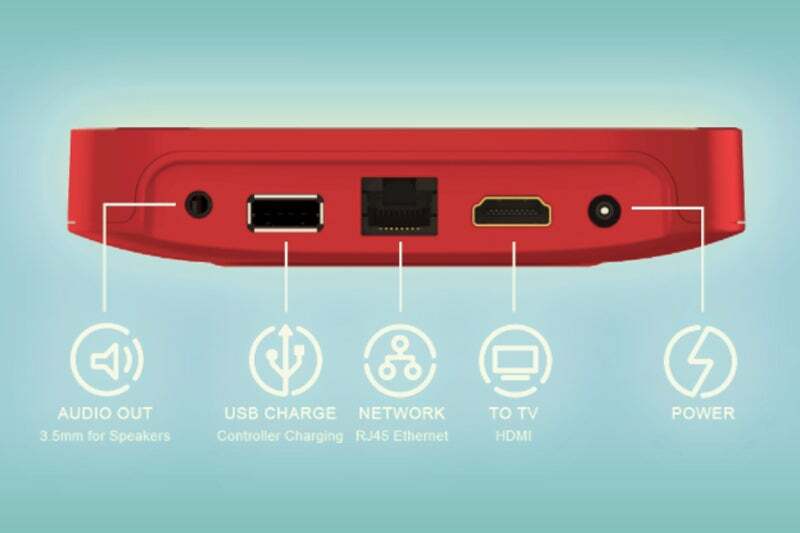 Roxi isn’t Electric Jukebox’s first foray into making a music appliance. 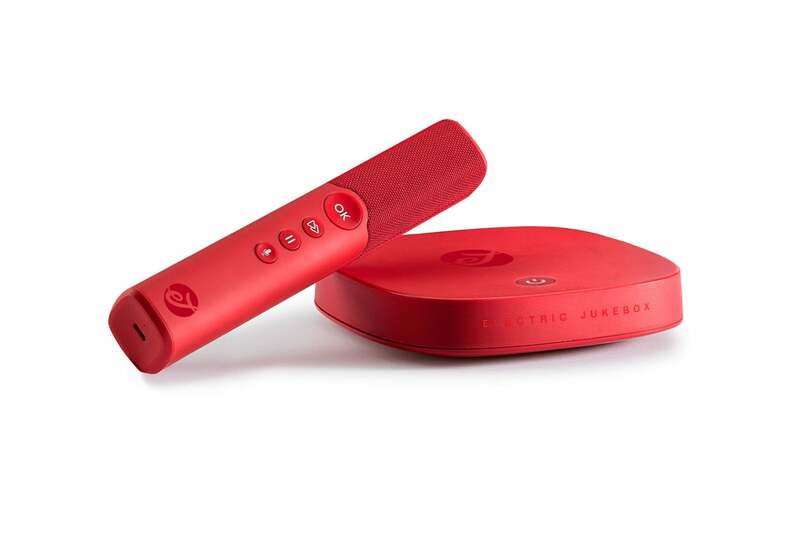 The original, eponymous Electric Jukebox was announced in 2015, designed as a Chromecast-like dongle paired with a fancy remote. Three years later, the concept has been revised and revamped as a larger box, with some additional features now sprinkled in. At its core, Roxi features five different modes. The big one is of course simple music streaming, which includes access to “tens of millions” of tracks (Electric Jukebox doesn’t say exactly how many), which you can stream individually, by artist, or by album, all without ads. Dozens of premade playlists are included, and if that’s not enough, the system features more than 1,000 worldwide radio stations and a collection of non-musical sound modes (white noise, dripping water, and the like). The motion-sensing remote control also has a microphone built in, and while it can be used to search songs or artists by voice, it can also be put to task in Roxi’s singalong mode, which overlays lyrics on the screen, karaoke style. Lastly—and my favorite part of the Roxi—is a Name That Tune game that lets you pick a genre then select the song that’s playing from four choices. The faster you guess the song, the more you score. Three strikes and you’re out. Roxi is positioned as a family entertainment system, and in my time with the device, it was a huge and immediate hit with my clan. The singalong mode and Name That Tune game garnered the most usage, and my kids liked trying to deduce the song even when they didn’t have a clue what it was. On the other hand, the straight streaming mode is a bit obtuse, as picking songs is a rather slow and tedious process (is your song filed under Elvis Costello & the Attractions or Elvis Costello and the Attractions? ), and adding songs to your own playlists isn’t immediately intuitive. You can also opt for one of special playlists from Roxi’s “celebrity curators,” including singer Sheryl Crow and British actor Stephen Fry, but most of these are very short—usually an hour or so. Music is encoded as AAC and streamed at 320kbps. You connect the Roxi to your TV or A/V receiver via HDMI. You can also connect it directly to a set of speakers with a 3.5mm cable or via Bluetooth. Roxi’s standard library is very large, but not exhaustive. It was easily stumped on alternative tracks (tracks readily available on iTunes), though anything with even a slight degree of mainstream popularity is easy to find—sometimes with a dozen or more variants and cover versions showing up. That said, the system is not without its quirks. The Wii-like motion tracking takes some practice to master and makes you wish for a few extra buttons instead of having to carefully aim the pointer at the back or home buttons on the screen. The voice search is acceptable, but it’s not nearly as capable as, say, the Xfinity voice remote. Certain words and phrases stumped Roxi altogether, though text-based search is always available as an option when your mouth fails you. Note also that the full library does not extend across the system. The singalong mode library is significantly smaller—about 50,000 tracks, according to the manufacturer—with huge expanses of artists and albums not appearing here at all (some karaoke classics are missing). 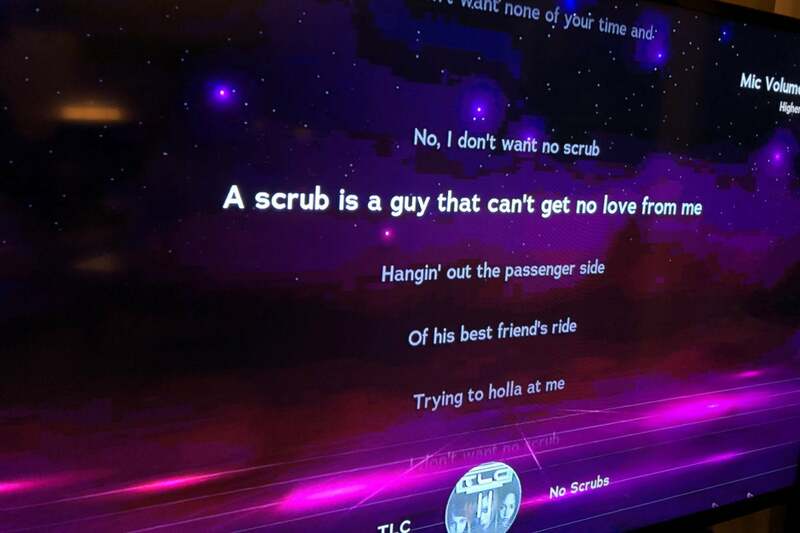 That said, remember that the singalong mode is not really karaoke; you just sing into the microphone, which pipes the audio over the existing track. Given that the system can experience some lag issues with the microphone (extensive in-system instructions offer guidance on correcting this) and that lyrics can appear on the screen out of sync with the music, it may well be easier and more fun to simply sing along without the mic at all. Roxi’s Wii-like remote/wand doubles as a microphone. The system is available in three colors. All that aside, Roxi represents the most fun I’ve had with my family without leaving the living room in quite a while, and my hunch is that its popularity will endure—even if Electric Jukebox continues to categorize U2 as “punk.” The $199 device is pricy, particularly once you add the $52 annual subscription fee that kicks in after year one, but it doesn’t feel absurdly expensive. In fact, it feels more like the kind of fanciful/silly/cool thing that you would find for sale at Brookstone. Which, of course, it is. This music appliance connects to your TV, letting you search for songs by voice and play a few fun games along the way.